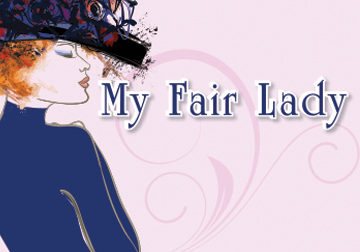 The Hannibal-LaGrange University Theatre Department will be presenting three performances of the musical classic My Fair Lady April 6-8, at 7 pm in the Parker Theatre of the Roland Fine Arts Center. In this beloved musical, arrogant professor Henry Higgins sets out to win a bet that he can pass off cockney flower girl Eliza Doolittle as a socialite simply by correcting her speech. The casual bet soon proves to be more than either Higgins or Eliza bargained for; both soon find that they have far more to gain, or lose, than they ever thought. This classic musical by Lerner and Lowe continues to delight with its wonderful music, warm humor, and story of unexpected love. Admission is $12 in advance and $15 at the door. Admission for seniors 60+ and groups of 10 or more is $10 in advance and at the door. To reserve tickets, please call the theatre box office at 573-629-3182.